If you aren't able to make it to NYC for the sold out three-night New Year's Eve run, we have some good news: Punch Brothers will be back out on the road in March! The tour includes several stops along the East Coast, a few in the Midwest, and a pair of festivals - Savannah Music Festival in Georgia and Suwannee Springfest in Florida. A limited supply of pre-sale tickets for many of these shows will be available starting tomorrow, November 20th, at 10am local at PunchBrothers.com/Presale, check the tour page for the full list and more on-sale info. Keep an ear out during this run for some tire-kicking of the new material the band's been working on. Noam & Friends (Bryan Sutton, Luke Bulla, Barry Bales & Jesse Cobb) will make their rounds of the Northeast in February with shows in Massachusetts, Connecticut, New York, and Maine. Expect to hear a few tracks from his latest album Noam Pikelny Plays Kenny Baker Plays Bill Monroe (available here). Tickets go on sale this Friday, November 22nd, details at NoamPikelny.com/tour. Thile will be keeping himself warm before the March tour with four solo shows in Australia in January and five more in the Southwest US in February. That's followed by one more solo stop in Nashville, a handful of duo shows with Mike Marshall in the Pacific Northwest (and an outlier - Savannah Music Festival), and a date with Brad Mehldau in Minneapolis in April. Critter has more shows with Julian Lage on the docket including two at Rockwood in NYC, The Deadly Gentlemen's Ball in Cambridge, MA, Wintergrass in Bellevue, WA, and, you guessed it... Savannah Music Festival. He'll also perform a live score to Fatty Arbuckle's 1917 short comedy Coney Island as part of the New York Guitar Festival on January 21st. On the Arco-front, Paul is gearing up for a seven-night Southeast tour with Dave Rawlings Machine which starts tomorrow night in Knoxville; you can find those dates here. Looking further ahead, Paul's trio with Brittany Haas and Jordan Tice will have a record coming out in the spring. We'll have more details on that down the road but for now, here's a preview. We also have some new Punch Brothers and PB-adjacent music that has been released since we last wrote. 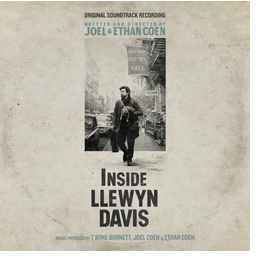 The soundtrack for the forthcoming Coen Brothers’ film, Inside Llewyn Davis, featuring contributions by the boys throughout, is now available on iTunes and just about every other medium (CD/LP/MP3/FLAC) via Nonesuch Records. Produced by T Bone Burnett and the Coens, the soundtrack also features performances by Oscar Isaac, Justin Timberlake, Marcus Mumford, and Carey Mulligan. 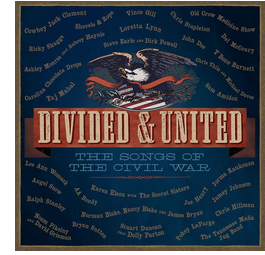 Moving from the 1960s to the 1860s, Divided & United: The Songs of the Civil War features tracks from Noam Pikelny & David Grisman, Chris Thile & Michael Daves, and plenty of other great folks. You can watch Chris and Michael perform their contribution, "Richmond is a Hard Road to Travel" at this year's Brooklyn Bluegrass Bash here. To learn more about the thirty-two track compilation, visit here or just jump straight to iTunes or Amazon if you prefer.